06.30 to 10.00 (Monday to Friday) and 07.00 to 10.30 (Saturday and Sunday). Breakfast in the room possible. Temporary offer: a junior suite including luxury massage chair! Limited Availability. More information is available at the reception. Prices are without €1.75 euro residency tax p.p.p.n. Live cooking, à la carte restaurant and cozy hotel bar. Great food and drinks in a casual atmosphere. Generous relaxation after an intensive day in the wellness center or swimming pool. 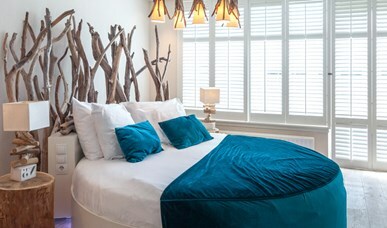 27 rooms, with a creative and experienced team. Your guests are fully equipped. Most dreams are really no deception. Stay overnight in our Flowersuite suite and discover that fairy tales exist! Do you want to come into the holiday atmosphere? 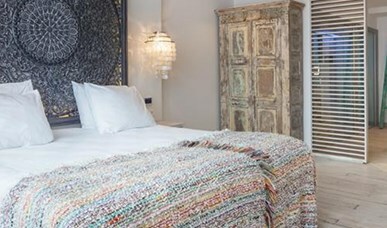 Discover the Ibiza feeling in this very spacious suite! 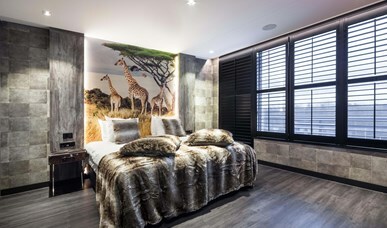 For a suite in African Safari style you are at the right address in this breathtaking suite! Come and enjoy the magic of our 1001-night suite. All your dreams become reality in this beautiful suite. Total relaxation in our Wellness suite. A haven in the hustle and bustle of everyday life! 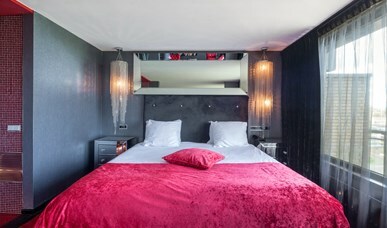 Our Silver suite is stylishly furnished for a romantic night! Experience the feeling and sound of the jungle and enjoy this special stay. 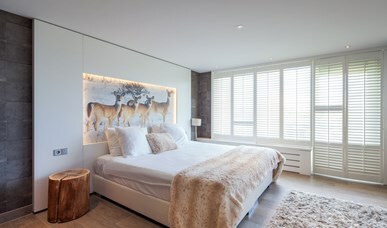 Imagine yourself on the beach in the middle of the country in this beautiful suite! Generous overnight stay for him and her. 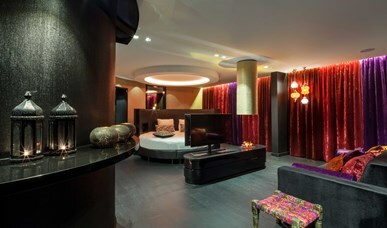 This suite guarantees an unforgettable night! Experience the feeling of luxury, glitter & glamor. Be a movie star for a night!